Upcoming events such as Wilderness Inquiry Great River Race allow participants to paddle together for a meaningful purpose. Paddle with a group down a beautiful stretch of the Mississippi in 24-foot Voyageur canoes led by experts at Wilderness Inquiry. Funds raised will benefit the outdoor education program, Canoemobile Minnesota. Celebrate our parks and the Mississippi by bringing family and friends to Hidden Falls National Park for free outdoor activities like fishing, climbing, archery, and more. Experience larger-than-life puppetry, drama, dance, stilting, fire, and music in honor of fall and the Halloween season. An annual tradition for more than 20 years, this show is appropriate for all ages. Visit our upcoming events page for more outing ideas this fall. Kathleen Boe of Minneapolis Riverfront Partnership and Angie Tillges of Great River Passage. The Mississippi River took center stage at this year’s Great Minnesota Get-Together! 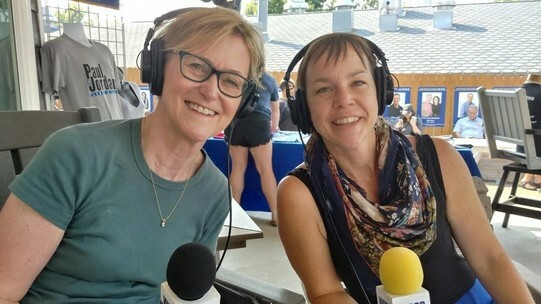 Great River Passage fellow Angie Tillges was featured on WCCO radio live with Roshini Rajkumar on Sunday, September 3. Listen to the segment here by scrolling ahead to 21:30. Congratulations to @explorationvacation! Their beautiful photo of the riverfront was selected as the winner of last month’s social media photo contest. We select a contest winner each month, so make sure to join in. 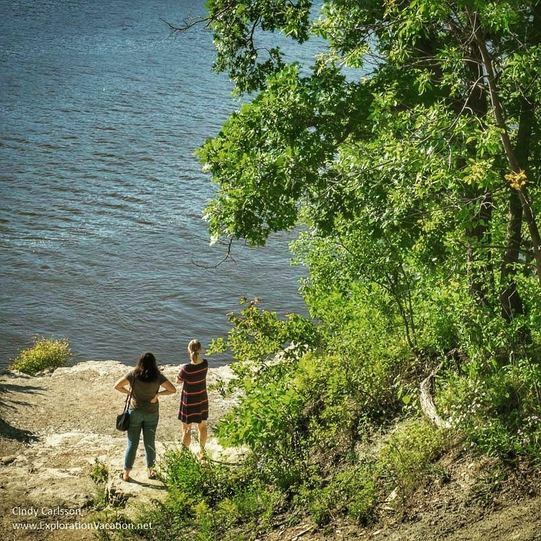 To enter, post your best pictures of the Mississippi River in Saint Paul on Facebook, Twitter, or Instagram using the hashtag #STPriver. Participants must also follow the Great River Passage on Facebook, Twitter, or Instagram. Visit the Great River Passage website for more information.